Small really is beautiful when you opt for our 1220mm circular banquet table. Seating six, this folding and sturdy table can make a stunning addition to all your occasions - especially when you use our black or white tablecloths with them. Tables have long been an essential requirement and history shows that they’ve also been very diverse too. Our 1220mm circular banquet table is one of those products where popularity never seems to wane. Believe it or not, basic trestle tables have been around for hundreds and hundreds of years. 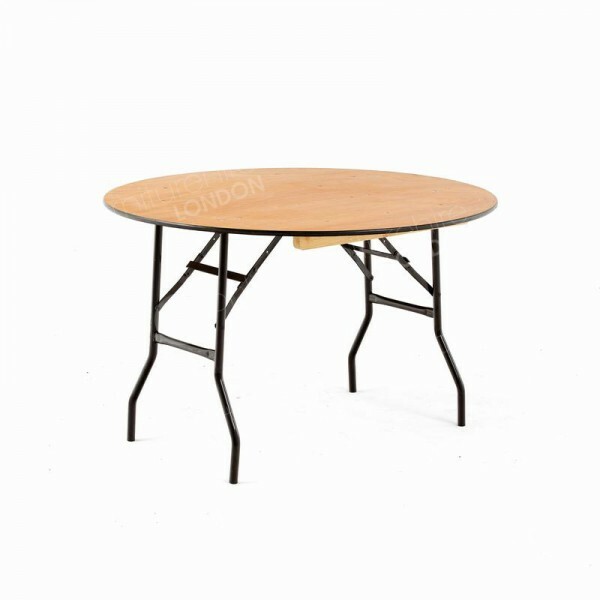 The demand for our present day product reveals that many table hire customers in London appreciate the array of features it offers, including the fact it folds, is stackable and very cost effective as well. Over the course of history, not all tables created have been affordable. This is because in the early days furniture was often used by those in power or the rich. Those living in Ancient Egypt might have found tables a bit more affordable, simply because they were quite often fashioned from stone! Rather than surrounding them with seating, these were used more like platforms, keeping objects that could otherwise get contaminated off the ground. It was a bit of a different story in the Greece and Rome of old, as these cultures made more elaborate tables, featuring precious metals and exotic woods. The overall design could also be very ornate, with Roman versions depicting wonderfully carved animals and figures from mythology. Although all of these tables were very different in design, they did have something in common… the craftsmen were responding to the needs at the time. So emperors who were keen to show their wealth and power could do so via artistic, elaborate products that were very expensive to make, or those who wanted to pursue the arts, for example, had specific tables at their disposal. Designing for those in-demand features continued through time right up to this day - and into the future! As banquets and feasting in larger groups became popular then trestle tables were the perfect creation. In use from around the Middle Ages, these tables gave rise to many other products, whose features are still around today. From folding and extendable tables, and those inspired by this early design, from desks, work and chess tables, we owe much to these original inventions. Our 1220mm circular banquet table hire range is an evolution of a design that has proved so integral to many different premises throughout the years. The folding legs allow it to be set up in seconds, great for when you don’t have much time to get venues installed or you simply want to save time! The robust, steady surface provides a perfect surface for eating and other activities, such as meeting over, note-taking and showcasing products at exhibitions. We also have 1525mm and 1830mm sizes available too. Being unfinished they’re also perfectly made for tablecloths, which when used, result in very elegant looking tables that fit excellently into all your stylish occasions, from formal dinners, weddings, award ceremonies, product launches, meetings, networking events and exhibitions. 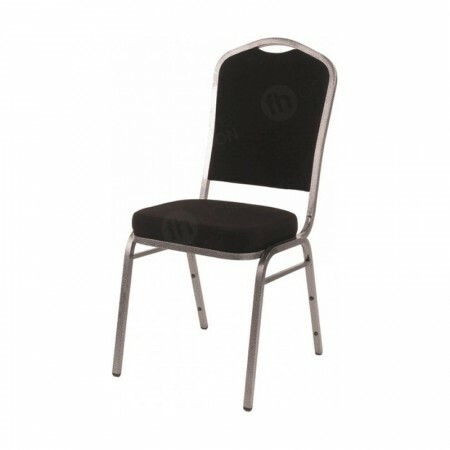 To complete your look, you can add a number of stylish seating options from our range, such as our banquet chairs. Are these tables easy to stack? Very. They fold in seconds and can be stacked then, great for when you need to store them! Can I order a mix of different tables? Certainly. You can order any size or shape of table from us. When you’d like advice on what makes the best products for your event, just give our friendly sales team a call, they’re full of great tips!